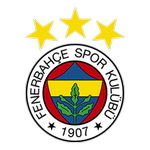 Fenerbahçe and Zenit meet at Şükrü Saracoğlu Stadyumu, in a match for this stage of the UEFA Europa League (16th Finals). These two teams have never met before, so this will be the first head‑to‑head between them. Both teams register significant differences between home and away results, so the home/away factor is worth atention. The home team comes to this stage of the UEFA Europa League (16th Finals) after having finished the group stage in the 2nd position of Group D, with 8 points won. This is a team that usually makes good use of the home advantage, stronger with the help of its supporters, since in the last 30 matches they register 2 wins, 5 draws and 8 losses in away matches, with 13 goals scored and 23 conceded; against 8 wins, 5 draws and 2 losses at their stadium, with 24 goals scored and 13 conceded. In their last match, for the Süper Lig, they got an away loss against Kayserispor by (1‑0). In the last 10 home matches Fenerbahçe has won 6, tied 3 and lost 1. In 15 matches, they have conceded the first goal 6 times and have never been able to turn the score around. Fenerbahçe arrive for this game unmotivated after a 1-0 away loss to Kayserispor, in a match to count for the Turkish championship. We emphasize that the hosts have gone through enormous difficulties in this season, alternating between good and bad results. To reach this phase of the Europa League, Fenerbahçe finished in 2nd place in Group D with 8 points. One of the best strengths of the team led by Ersun Yanal is the ease with which they can use spaces to apply the counterattack: André Ayew is one of the most important players in this team. At the individual level we highlight Michael Frey, being this one of the best scorers of Fenerbahçe with 5 goals signed. Out of this game because of injury: Cigerci, Ersu, Guctekin and Ciftpinar. Confirmed Lineup: H. Tekin, S. Çiftpınar, V. Moses, M. Isla, M. Škrtel, H. Kaldırım, M. Valbuena, Jaílson, E. Elmas, M. Topal, I. Slimani. The away team comes to this stage of the UEFA Europa League (16th Finals) after having finished the group stage in the 1st position of Group C, with 11 points won. This is a team that usually makes good use of the home advantage, stronger with the help of its supporters, since in the last 30 matches they register 6 wins, 2 draws and 7 losses in away matches, with 23 goals scored and 20 conceded; against 10 wins, 2 draws and 3 losses at their stadium, with 25 goals scored and 16 conceded. In their last match, for the Club Friendlies, they got an away win against Sarpsborg 08 by (1‑2). In the last 5 UEFA Europa League away matches Zenit has a record of 2 draws and 3 losses. In this competition, they haven’t won any of the last 5 away matches. Defensive consistency hasn’t been their best feature, as they have conceded goals in 7 of the last 10 matches, but their offense has scored consistently, as they have scored goals in 8 of the last 10 matches for this competition. In 10 matches for this competition, they have conceded the first goal 5 times but have turned the score around in 2. 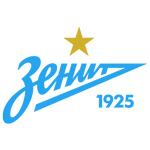 Zenit St. Petersburg come to this stage of the competition due to their first place in Group C after finishing with 11 points. We remember that the visitors have done several preparation games, since the Russian championship suffers a stop during the winter. It is also important to inform that Zenit already won this competition, at the time with the name UEFA Cup, in the 2007/2008 season. In this game against Fenerbahçe, coach Sergey Semak should play in a 4-3-3 favoring quick transitions by the aisles. Artem Dzyuba is the team's best scorer in official matches with 10 goals scored. The coach can not count on Kuzyaev, Noboa and Erokhin, all with physical problems. Confirmed Lineup: A. Lunev, B. Ivanović, A. Anyukov, Y. Rakitskiy, E. Nabiullin, Hernani, R. Mak, W. Barrios, M. Kranevitter, A. Dzyuba, S. Driussi. The market we recommend for this game is the '' Over 1.5 goals '' in the final score. Playing at home, Fenerbahçe tend to be very offensive and easy to create chances, with Zenit St Petersburg showing great quality on counter-attack and chances are they'll be able to create a number of chances. Taking into account also the offensive quality of the teams, betting in favor of the goals in this game is of great value.